The BEST scones I have ever had were at a coffee shop in my parents' town. I have resolved to make my own ever since I tasted one of those beauties several years ago. Obviously my resolve wasn't very strong...probably because I knew that when I made these, I would want to eat every single one of them as quickly as possible. 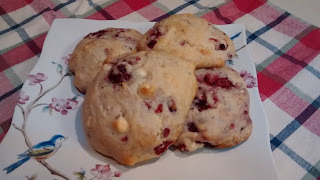 So when I saw that Nicole had a recipe for these same scones - white chocolate raspberry! - I knew it was the recipe I would choose for this month's Secret Recipe Club. Nicole lives somewhere I would love to visit - New Zealand! - and her blog is full of amazing recipes. I know you'll find something there you would love to make. I made these scones as drop scones - like drop biscuits - instead of fashioning the dough into a circle and cut into wedges. It was simply a personal preference - I've made scones the other way too, so do whatever you like best. And I loved that Nicole uses her food processor to combine the flour and butter; that's how I do it, too! Here's to a wonderful breakfast, tea time or treat - thanks for a great recipe. Combine the buttermilk, sugar and egg in a bowl. Whisk well to combine then set aside. In a food processor, combine the flour, baking powder, salt, and butter; process into a coarse crumb. Transfer the flour/butter mixture into a large mixing bowl, and gently fold in the buttermilk mixture. Fold in the chocolate chips and raspberries. Drop the dough by large spoonfuls onto a silpat or parchment-lined baking tray. Bake at 350 for 20 minutes. Makes 12.
mmmm....not much beats a delicious fresh baked scone! I loved browsing your blog this month Sara. 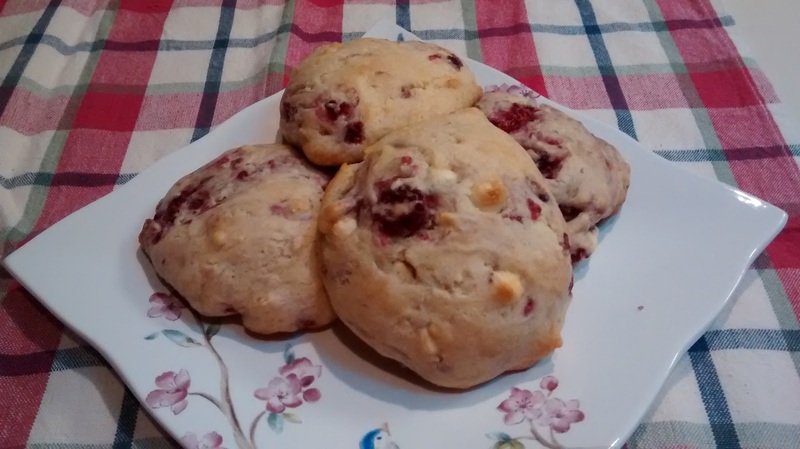 I loved seeing all your baked goods and know these scones will be an fantastic addition to the list of great breakfast pastries you already have. Great SRC post! Yum! Great job on the scones :) I am so glad you made and enjoyed these! Perfect for a lazy Sunday morning. Great choice for SRC – glad to be part of group C with you! 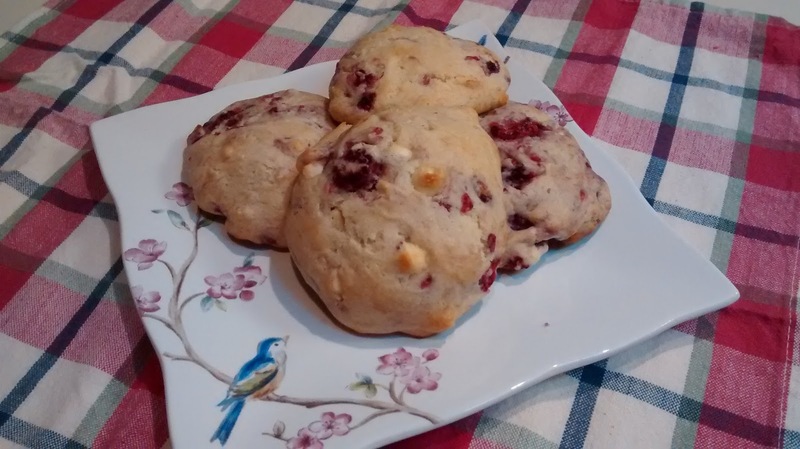 I adore scones and these seem like the perfect sweet treat version. Oh these sound so good and so easy! CanvasPop Review and GIVE AWAY!